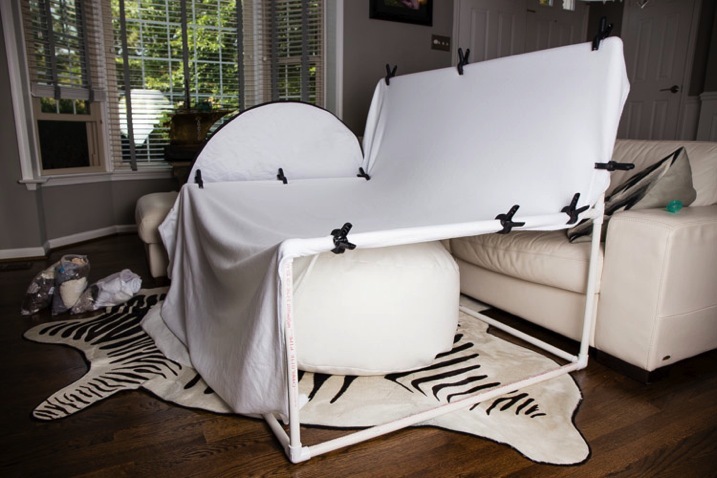 Have you ever wondered how professional newborn photographers get their backdrops so smooth and wrinkle free? Are they Photoshop masters? Do they have a team of highly paid assistants pulling the fabric? No. The answer is a DIY backdrop stand that costs less than $20 and that you can make in less than 15 minutes. When I first started in the world of newborn photography I used the tools that I had available. I would use a traditional background stand to hold the back of my fabric backdrops. I would then ask my clients if I could borrow a vacuum, dining room chair or some other house hold object to clamp the side of my fabrics to. This, of course, was very unprofessional and delivered substandard results. I would find myself spending 30 minutes just editing the backdrop in Photoshop. I knew there had to be a better way. So, with a little imagination and $20 I saved myself countless hours of Photoshop madness. Now, besides some simple blemish removal and softening, the images are basically perfect, straight out of camera. 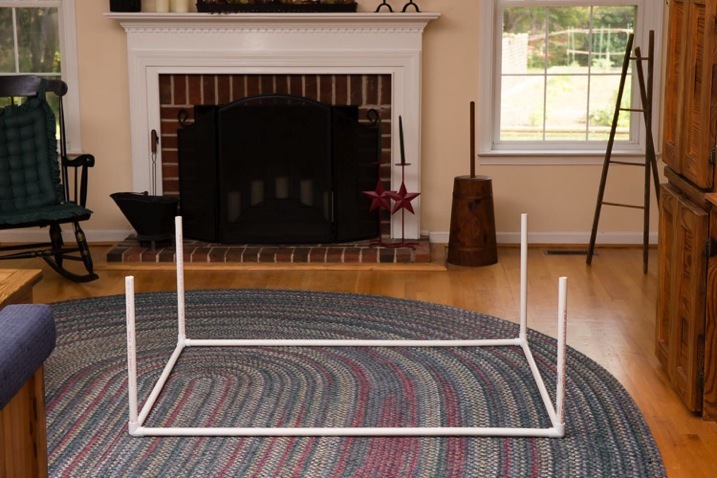 This tutorial will teach you how to build a background stand that stretches your backdrop fabrics. This stand will help to eliminate wrinkles in your background fabric, and cut down on post-processing time. 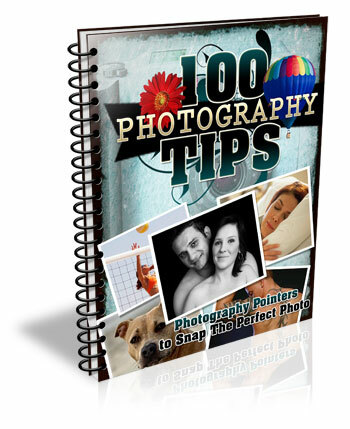 It will also help you present your newborn photography business in a more professional manner. All of the supplies should be readily available at your local hardware store. You will need to look in the plumbing section. All PVC fittings are Schedule 40. You can use a PVC cutter, a miter saw, or a handsaw. I used a handsaw and was able to complete the entire stand in 15 minutes. 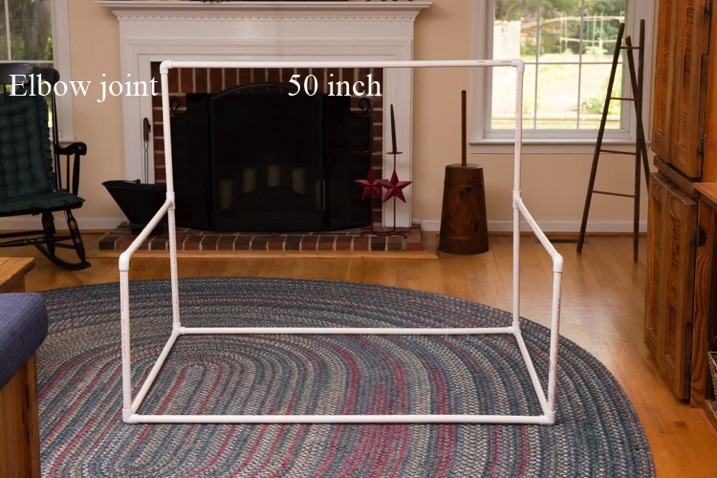 Connect two 50″ pieces and two 42″ pieces with the four 3-way joints to make a rectangle. Connect four of the 20inch pieces to the rectangle. 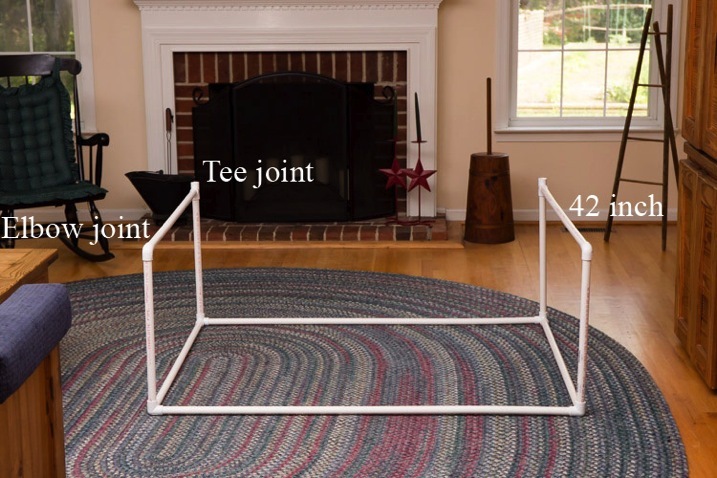 Connect a tee joint and an elbow joint to either end of a 42inch piece of PVC. Repeat. Connect these to the backdrop stand. Connect two 20″ pieces to the back of the stand. Now connect the remaining 50″ piece to the top with two elbow joints. It should look like this at this stage (below). 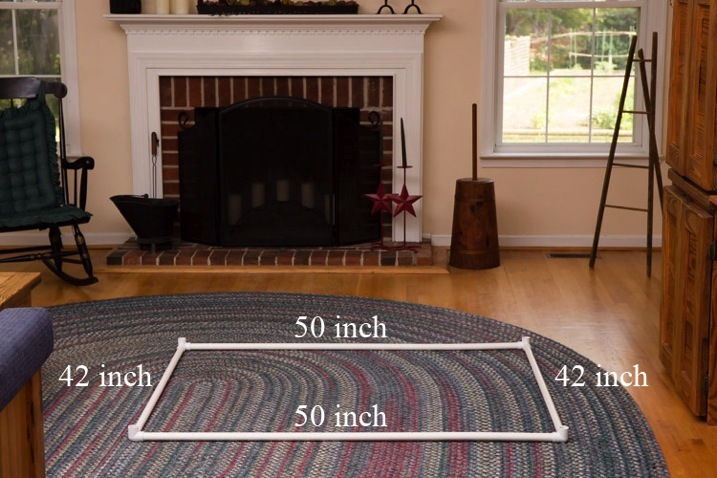 Place your beanbag in the center of the stand, and you are ready to stretch your backdrop fabric. Here is a picture of the backdrop stand in use at a client’s home. Here is a final newborn image using the backdrop stand. This stand is purposely designed to be wide. This allows you to take those much needed angled pictures without losing your backdrop fabric. You may however, prefer to have a square backdrop stand. This would allow you to use a smaller area in your studio or client’s home. Just keep in mind that you will need to really watch your angles. 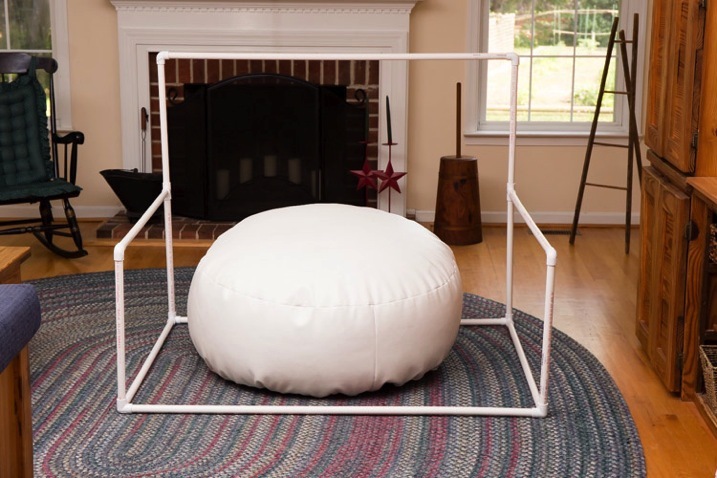 NOTE: This stand is only to be used with a newborn posing beanbag placed under the center of the stand. 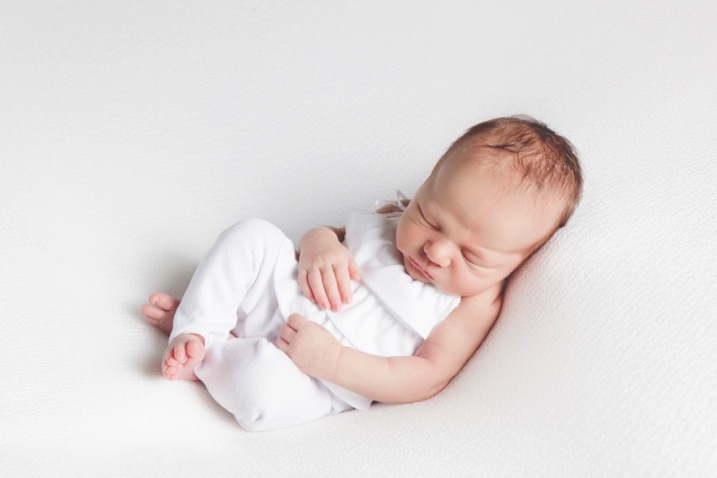 The posing beanbag is what supports the newborn, not the fabric. NEVER leave a newborn baby unattended on the beanbag or on any prop. 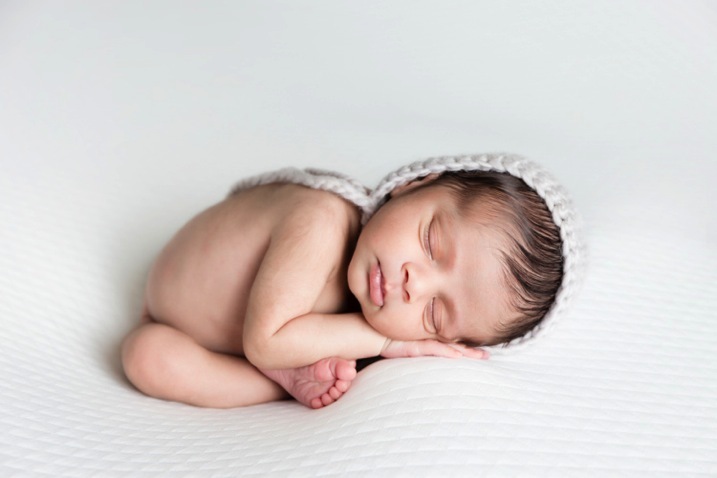 As a newborn photographer the safety of the newborn baby must be your top concern at all times. 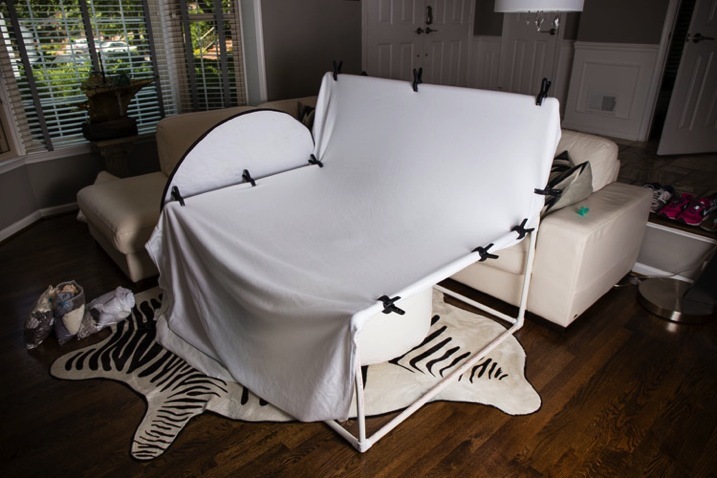 The post How to Make a DIY Newborn Photography Background Stand by Clifton Man appeared first on Digital Photography School.